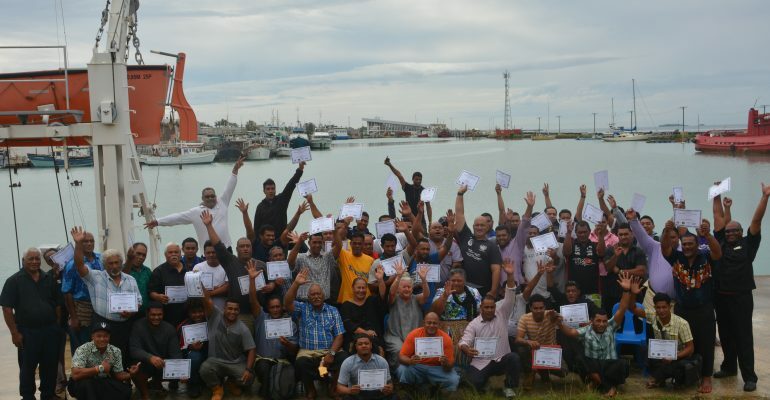 An emotional closing ceremony took place last week for 60 seafarers who have completed a two-week training course on Full Basic Safety. The ceremony celebrated the successful partnership between Tonga Skills, Tonga National Fishing Council, Ministry of Infrastructure-Marine Division, Friendly Island Shipping Agency (FISA) and Tonga Maritime Polytechnic Institute (TMPI). 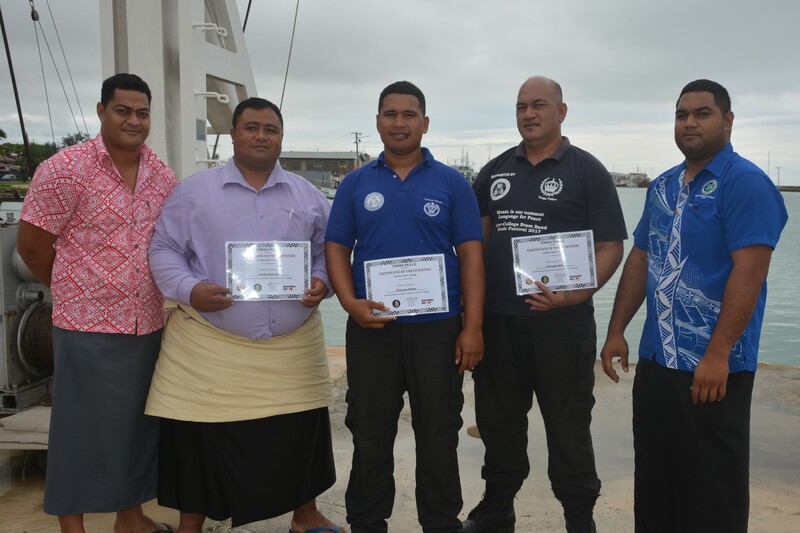 This industry-led training is helping to ensure the safety of seafarers and improve their business by increasing productivity of fish supply for sustainable economic growth in Tonga. 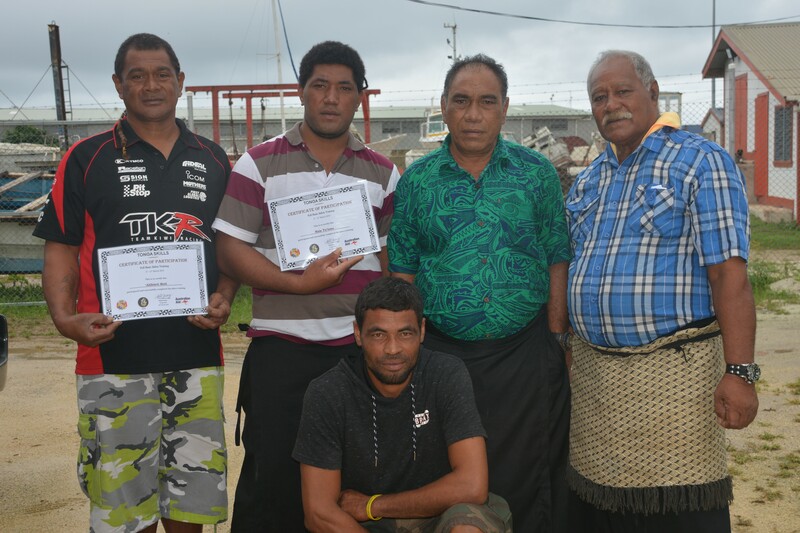 Tonga National Fishing Council identified the skill demand for comprehensive safety training as it is now a requirement of the Ministry of Infrastructure – Marine Division for seafarers who work on merchant and small commercial vessels. Participants were trained to the Regional Maritime Program Standard to equip them with basic safety competency in survival, firefighting, first aid and occupational health and safety requirements. Participants included local fishermen, boat owners, search and rescue police officers and fire and rescue officers. The newly acquired skills will not only ensure the safety of crew members and result in more effective fishing and sustainable food supply, but they will also create a pathway for further training opportunities. Tonga Skills an Australian Government funded initiative working to better match demand and supply of skills training. In particular, the program focuses on addressing skills gaps where there is high potential for inclusive economic growth, such as in Agriculture & Fisheries, Construction, Manufacturing and Tourism.